I was sitting in the communal kitchen of Zenkoji temple, another shukubo (temple lodging) where we were laying our heads for a short stay in Takayama, a town near the Japanese Alps. In the kitchen eating breakfast next to me were an American teacher from Connecticut and a young Jewish couple who were new parents. The voice asking us the question belonged to another traveler, who was headed to the train station. There were a few “oh, wow”s and some other exclamations of surprise, and then…it was on with the morning conversation about how lovely Japan is. 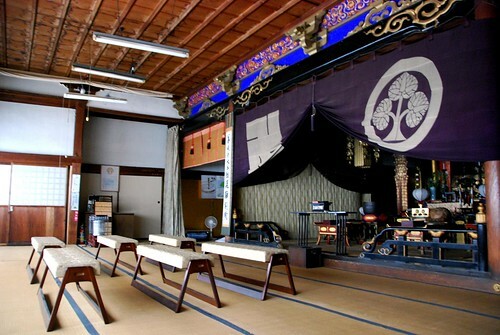 The main altar at Zenkoji temple. I can remember very clearly where I was when I heard that Princess Diana had passed away (in my college apartment in Berkeley, tying my shoes to go for a run). 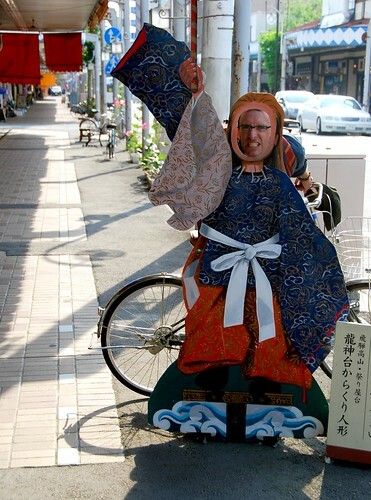 But in some ways Michael’s death was marked more by what a non-event it was for those travelers in Takayama. Blame our nonchalance on the kind of peaceful acceptance of circumstance that the Japanese countryside inspires, or perhaps it was just remoteness, but Michael Jackson (or anything Hollywood-related, for that matter), felt really, really far away from Takayama. 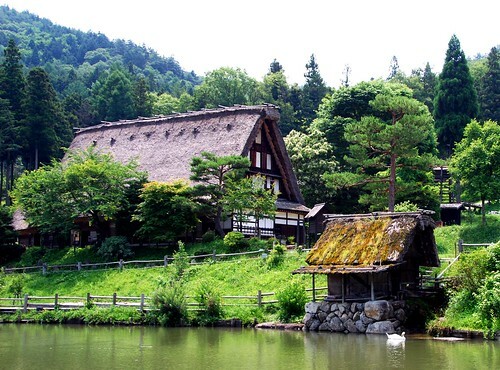 Some people describe Takayama as a “mini-Kyoto,” and the description feels accurate. The town, though large, feels intimate, with main streets bisected by hidden alleys and lanes, where little gems of restaurants are just waiting to be discovered. I can’t believe I ate the whole thing! 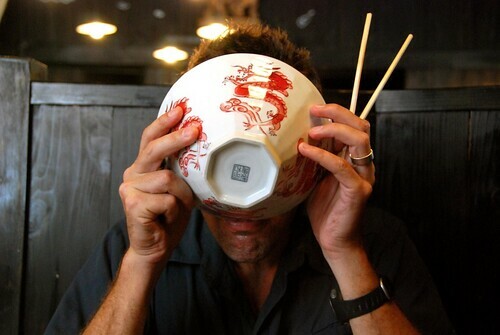 J finishing off a bowl of Hida beef ramen. Mmm…sooo fatty. Sooo good. The star attraction in Takayama is Hida-no-sato (Hida Folk Village), an “open-air museum” of Japanese farm houses that were moved to this idyllic setting in the 1950s when many of these traditional homes were knocked down to build a dam (seems like China isn’t the only one to displace a bunch of it’s residents for a dam). We saw many different thatched roof houses and interiors; most floor plans were centered around an interior fire pit that was the center of action in the home. 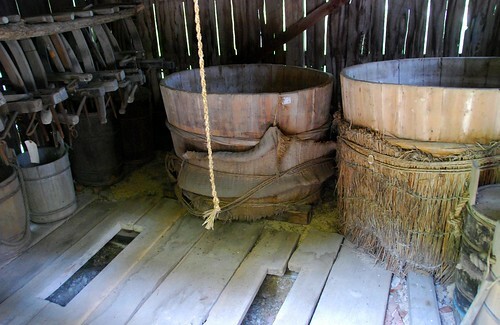 This is what a old Japanese farm’s toilet looked like. 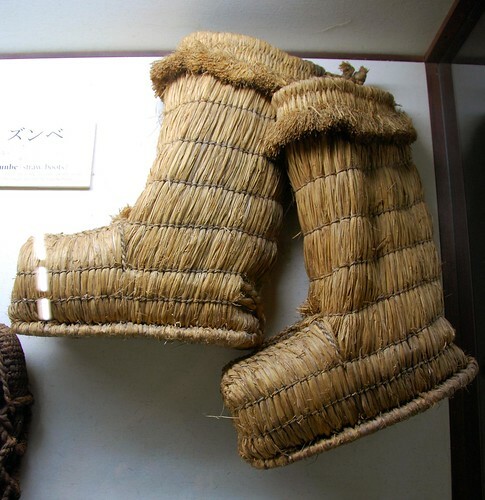 The Japanese mountain equivalent of Uggs. 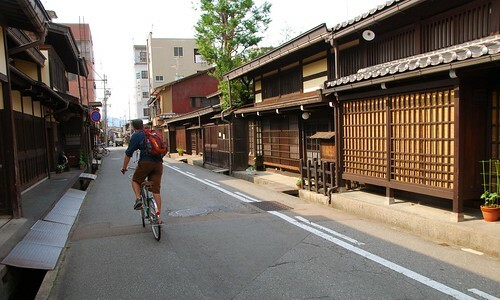 We spent the rest of our time exploring the town by foot and bike, riding down narrow streets lined with traditional Japanese houses in the Sanmachi traditional buildings area. Biking down Furui Machi-nami, a street with many old private Japanese homes. And Jeremy finally got to indulge his fantasy of being a shogun! We could have easily stayed a few extra days in Takayama. 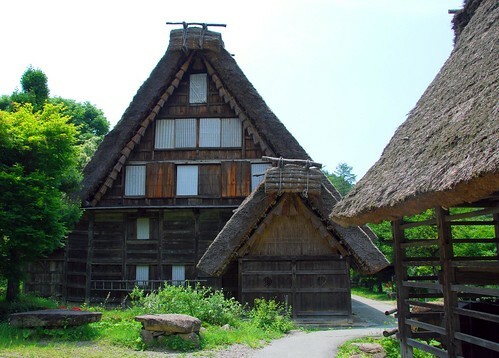 Next time, we’d like to see nearby Shirakawa-go, which has A-frame houses surrounding a mountain lake. We loved our peaceful time in this idyllic mountain town, and we won’t soon forget where we were when the world lost the King of Pop.